The Google Open Source team is currently enjoying summer weather in Sydney at Linux.conf.au, but soon we return to winter weather and head to Brussels for FOSDEM 2018. FOSDEM is a special event, famous for being non-commercial, volunteer-organized, and free to attend. It’s also huge, attracting more than 5,000 attendees. 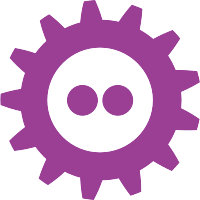 FOSDEM logo licensed CC BY 2.0 SE. This year FOSDEM is particularly special as it falls on top of the 20th anniversary of the open source movement and its steward, the Open Source Initiative. (In case you’re wondering, this September will mark the 35th anniversary of the free software movement.) We’re looking forward to celebrating the occasion! You’ll find us in the hallways, at satellite events, and at our table in the stands area. You’ll also find some Googlers in the conference schedule, as well as folks sharing their experience of the most recent Google Summer of Code and Google Code-in. If you’d like to say hello or chat, swing by our table in Building K. The highlight of our trip is meeting hundreds of the thousands of students and mentors who have participated in our programs!